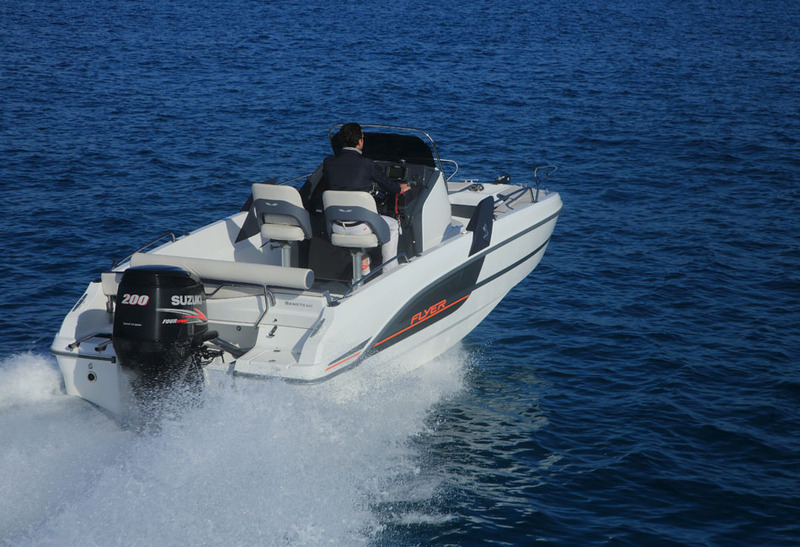 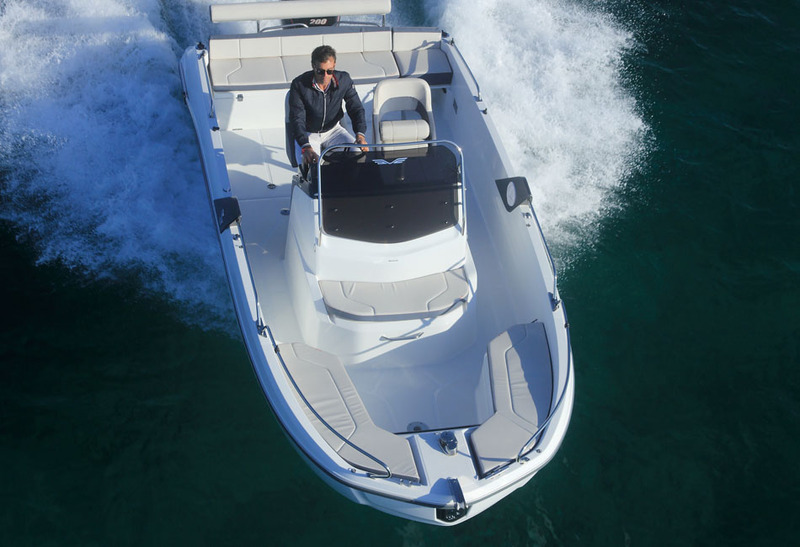 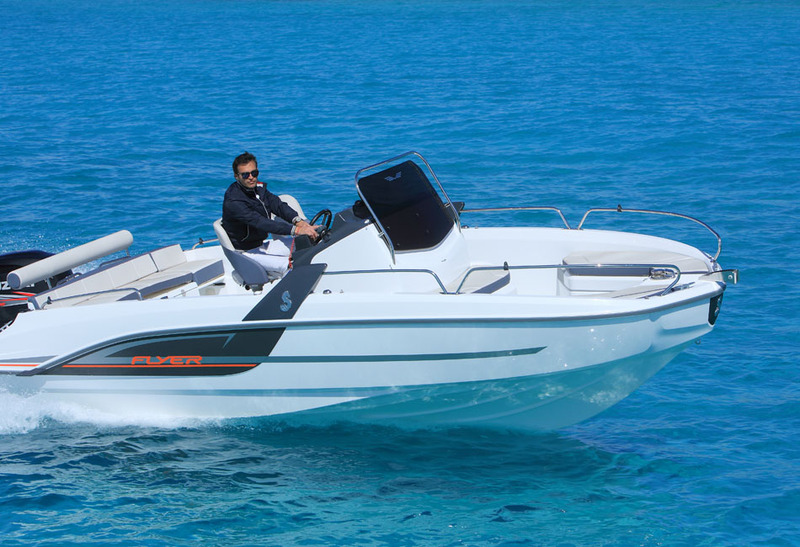 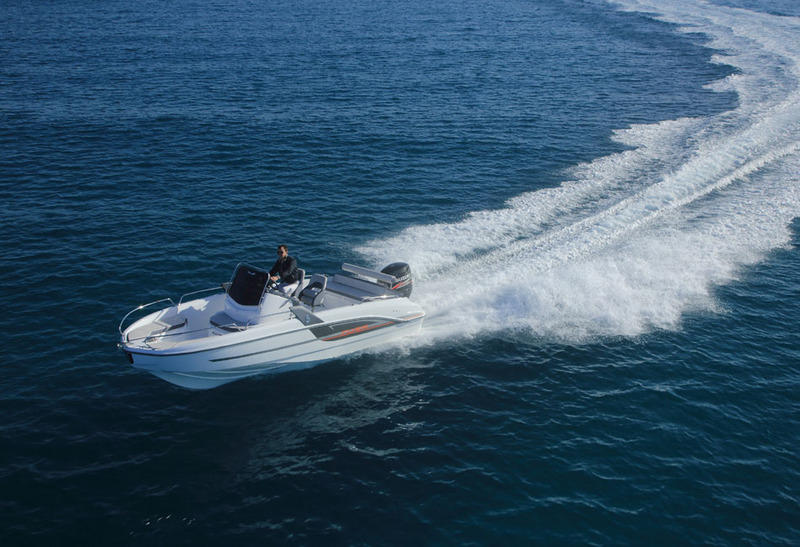 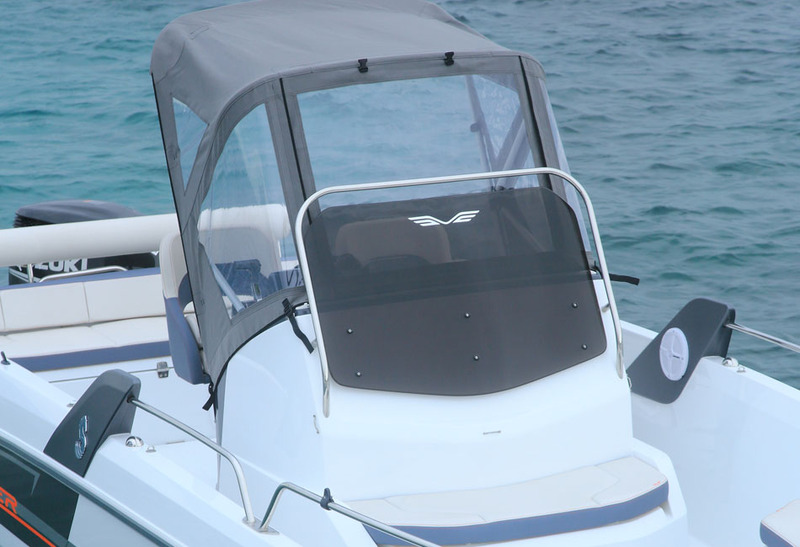 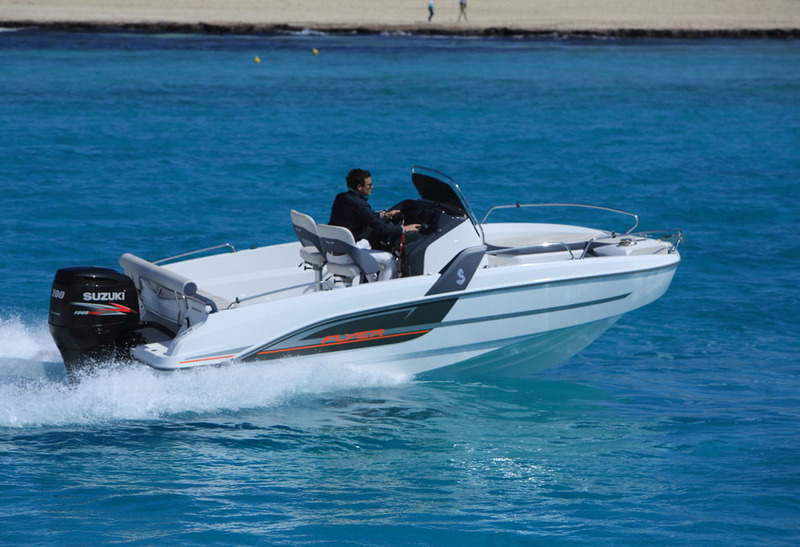 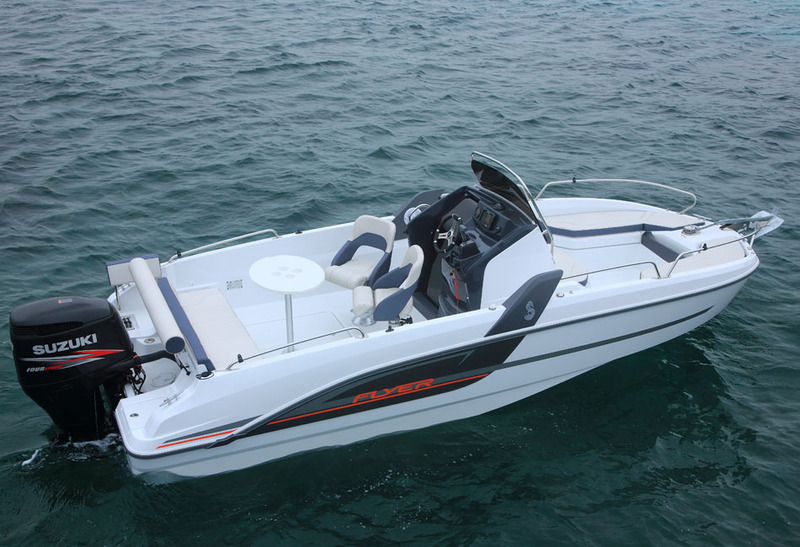 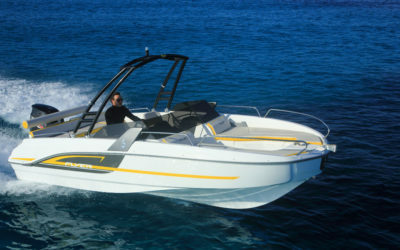 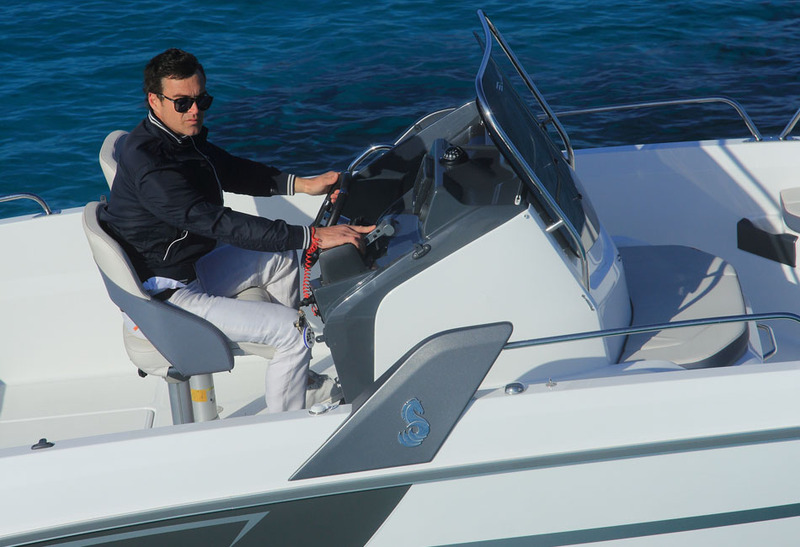 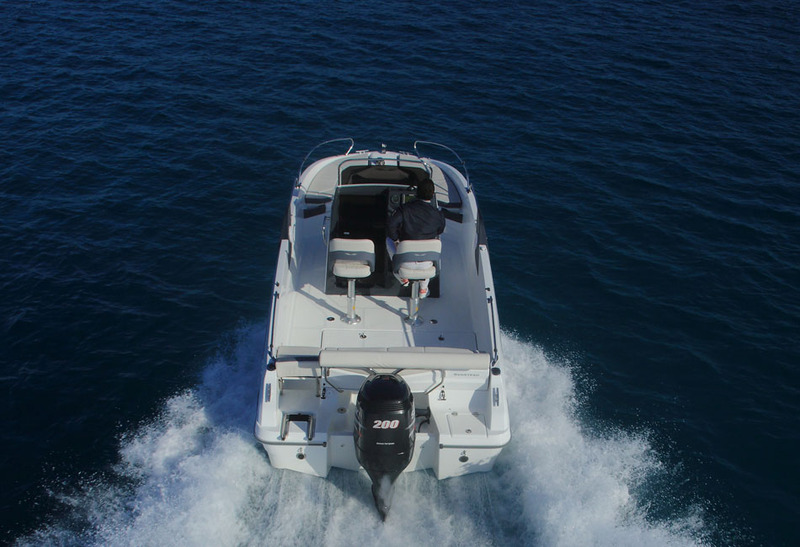 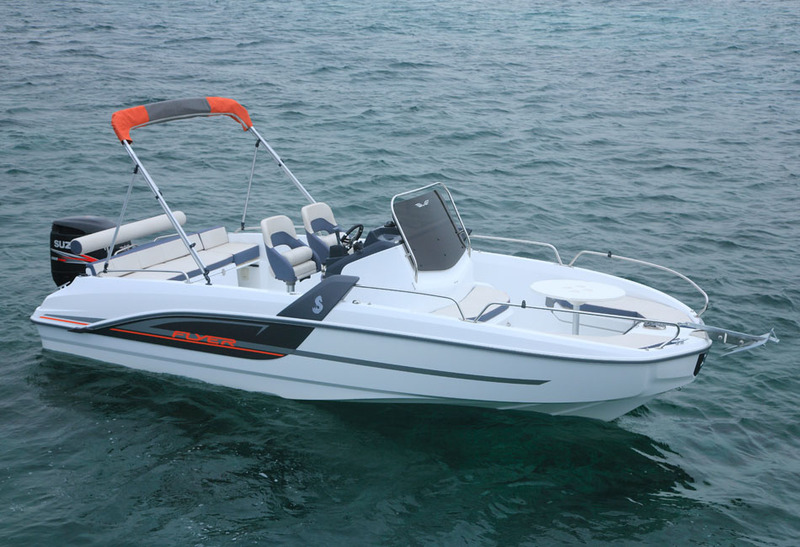 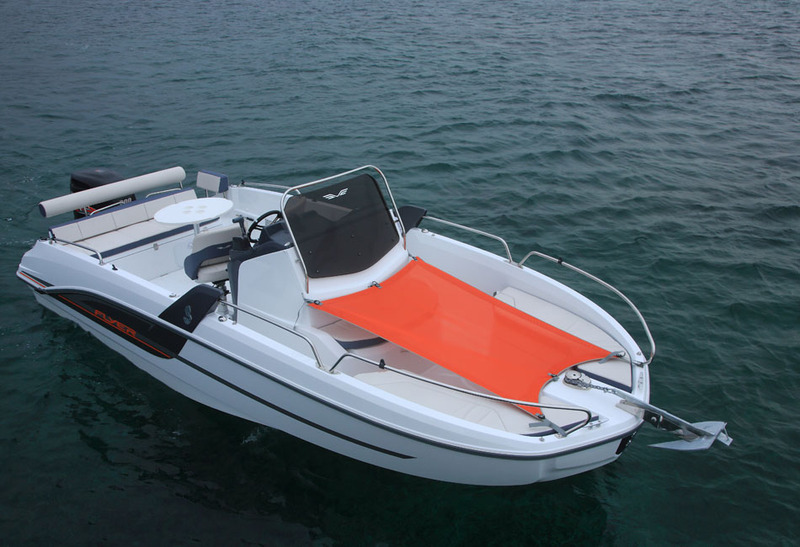 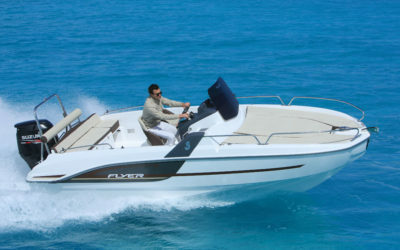 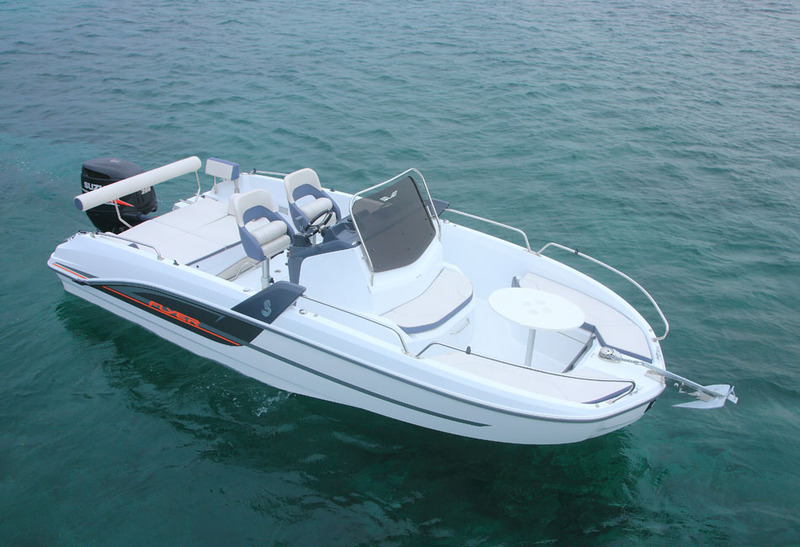 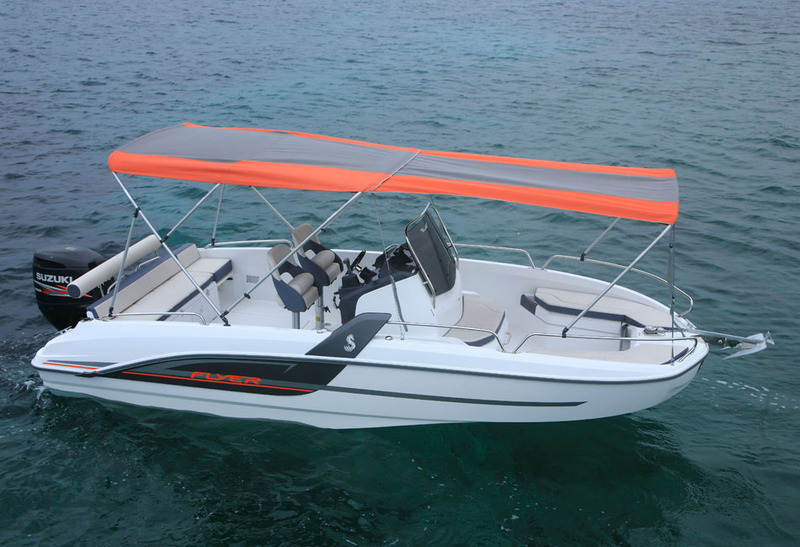 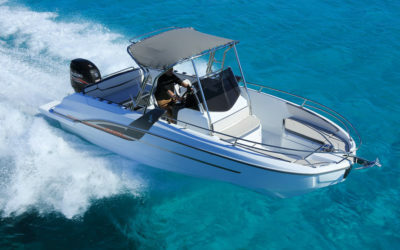 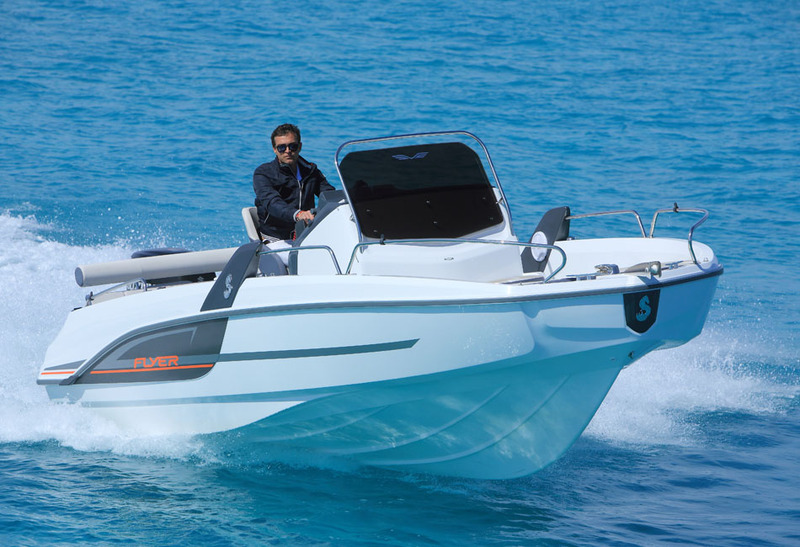 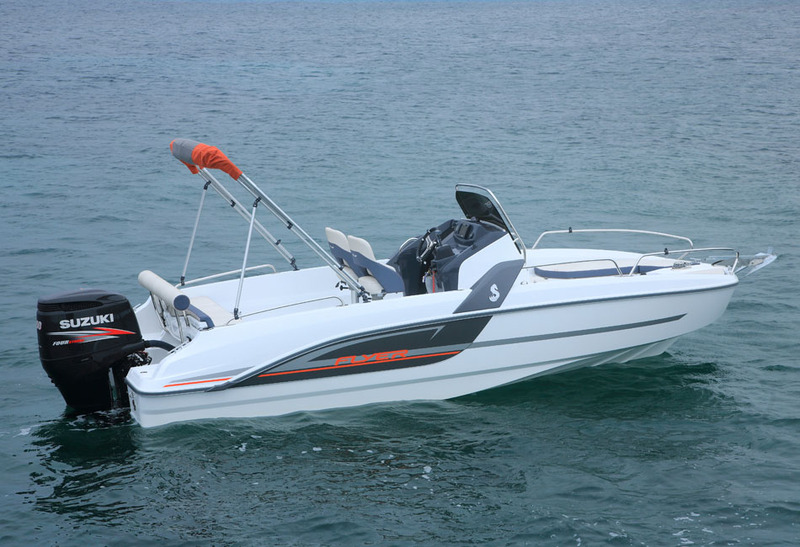 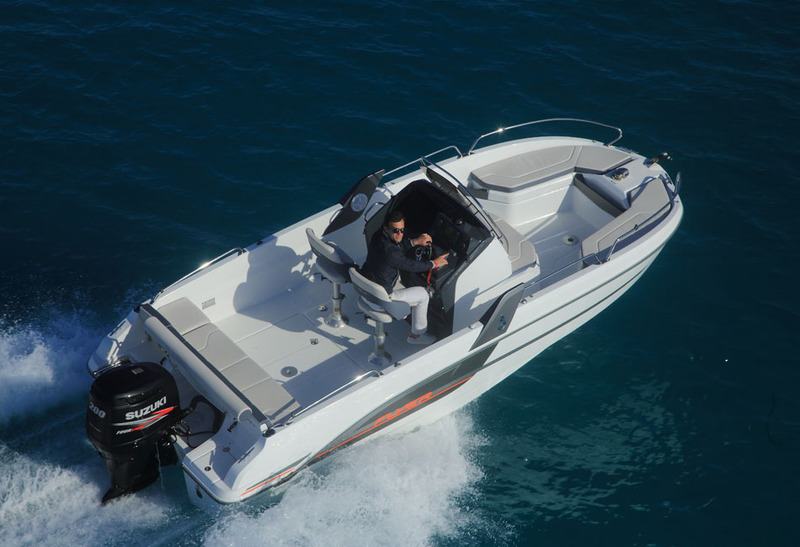 The Flyer 6.6 Spacedeck is the epitome of the perfect open day boat. 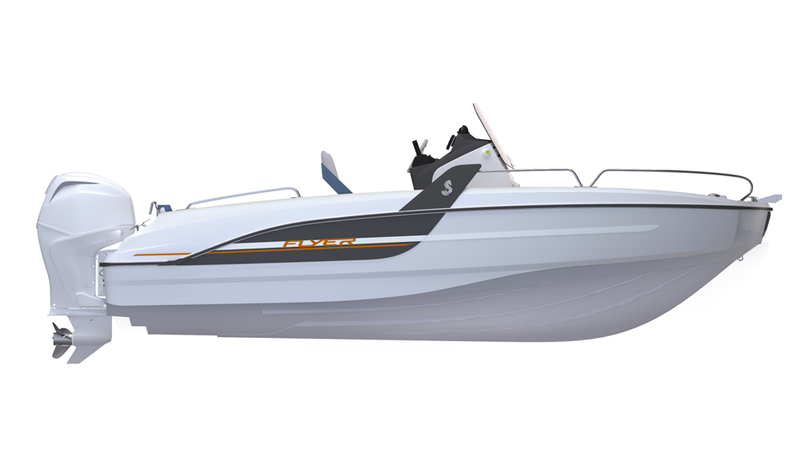 Her design is brimming with character and can easily accommodate up to 6 people on board without sacrificing comfort and performance. 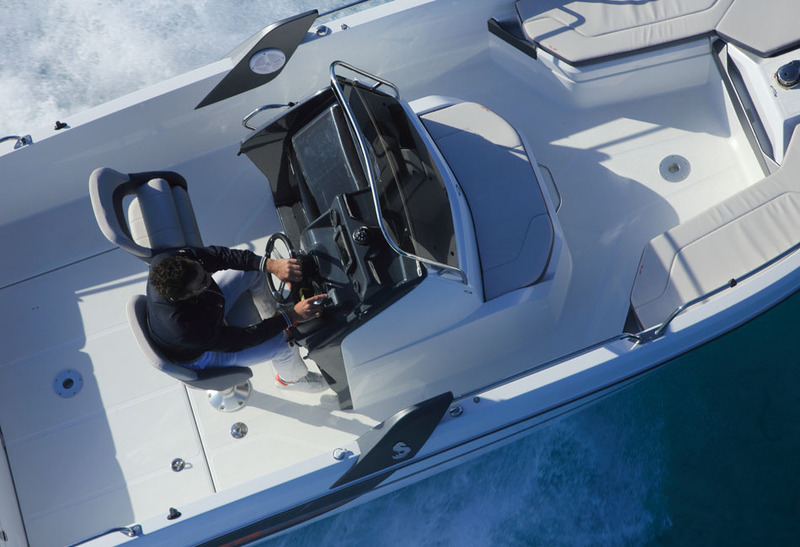 She is equipped with a central driving position that makes optimizing all her features on board a breeze. 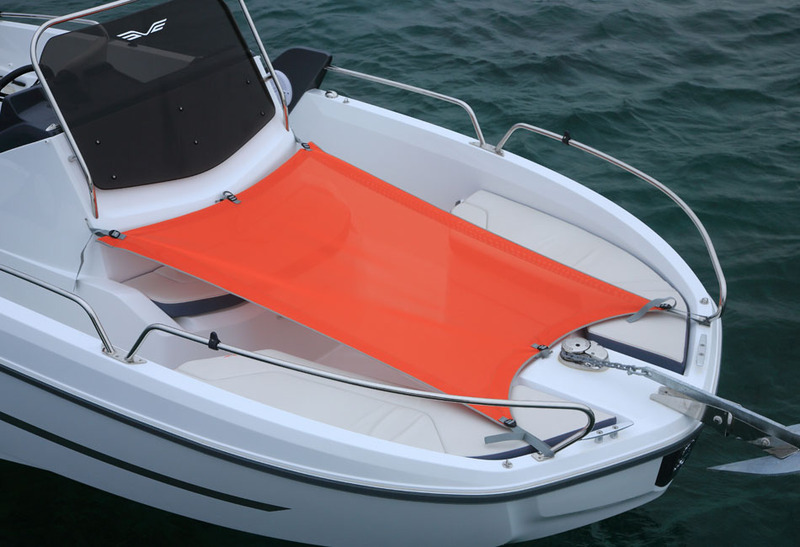 An orange line graces her exteriors, the signature mark of the Spacedeck. 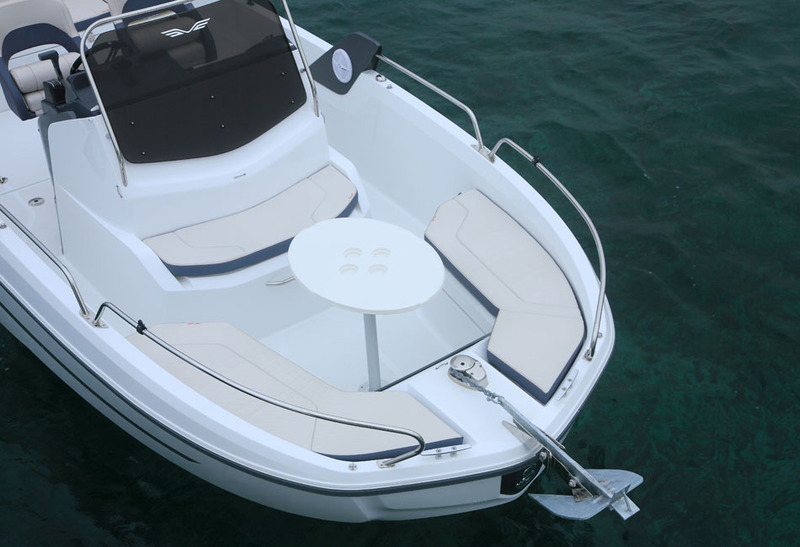 Her large aft bench can be converted into a sunlounger, and is designed for easy access to the swim platform. 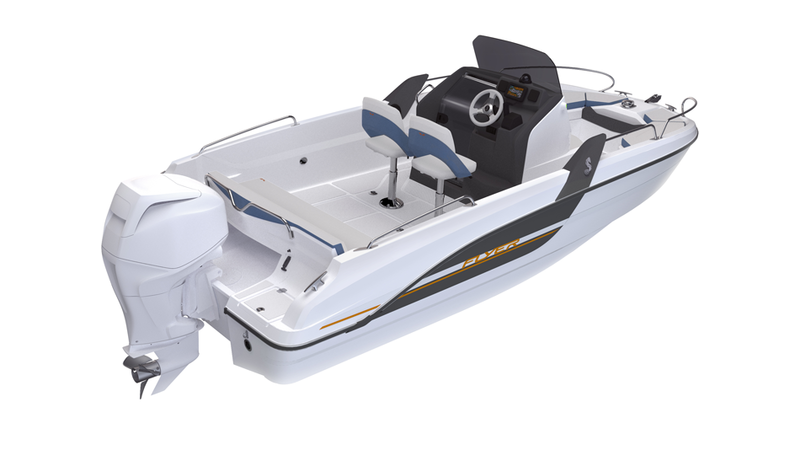 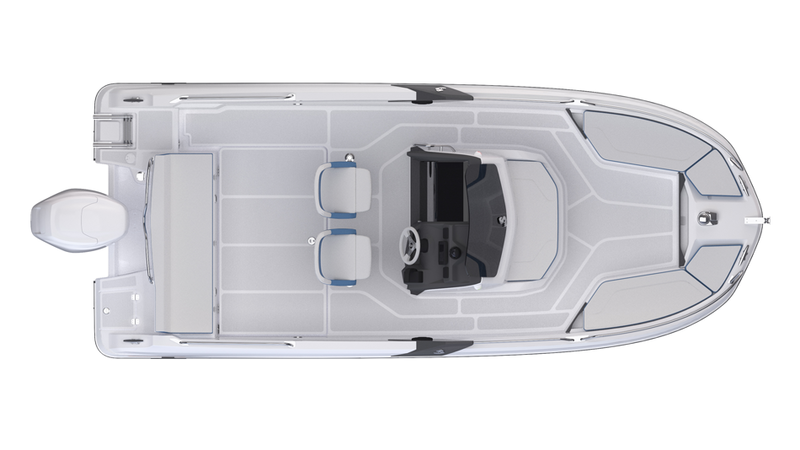 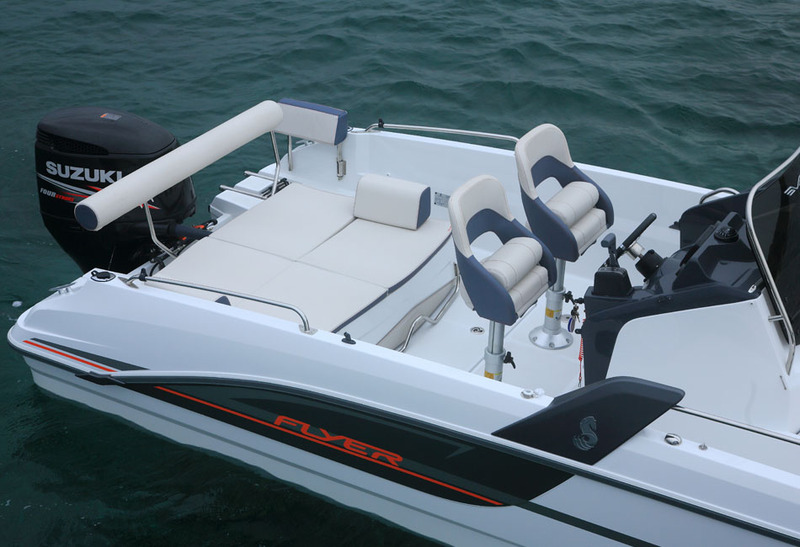 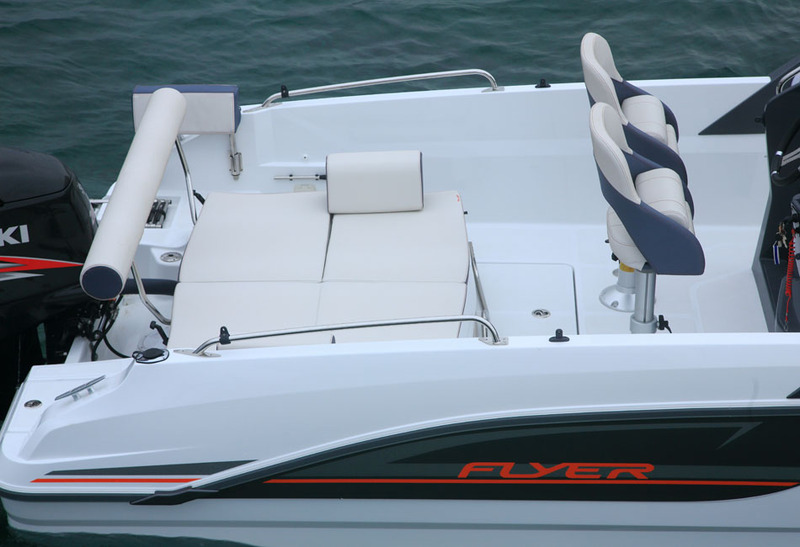 The Flyer 6.6 Spacedeck offers additional storage space beneath each bench and the aft saloon.